The correct steps to take to implement holistic P2P very much depend on the starting point. An immature organisation may have to work hard simple to get to the starting line. Others may already have reached a high level of maturity, but whatever the starting point, it is worth going back to basics and beginning with a high level audit assessing your level of P2P maturity. This is back of an envelope analysis. It doesn’t need to be exact. 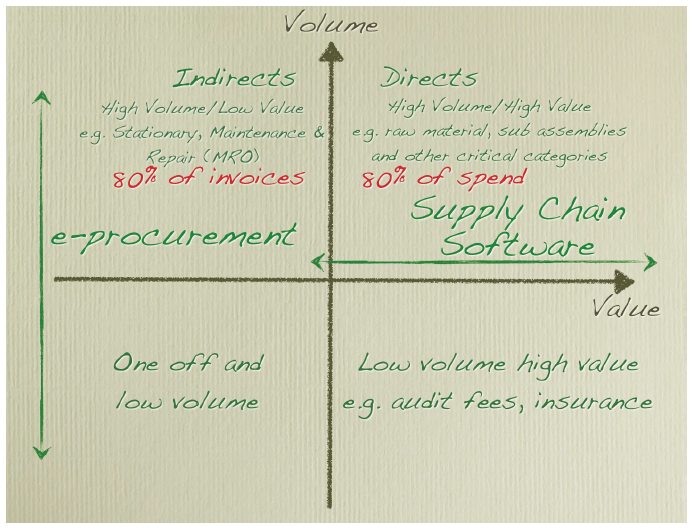 Consider your organisation’s spend profile in terms of volume – numbers of POs, numbers of suppliers and numbers of invoices and invoice lines – and think in terms of the four P2P quadrants – High Volume/Low Value, High Volume/High Value, Low Volume/Low Value and Low Volume/High Value. Each quadrant has different characteristics. Not all P2P components are appropriate for each quadrant. 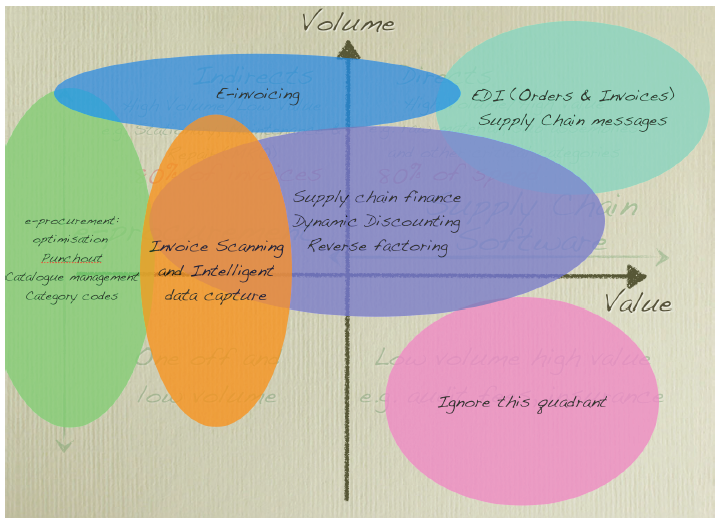 Complex supply chain optimisation techniques such as demand planning simply aren’t worth the investment for most indirects and while EDI and e-invoicing will pay for itself for high volume suppliers, low volume and one off suppliers are unlikely to take this on board. By collating the existing P2P initiatives and assessing their maturity it’s possible to identify areas where closer collaboration – whether that is between finance and purchasing or collaboration with suppliers – will unlock further benefits. 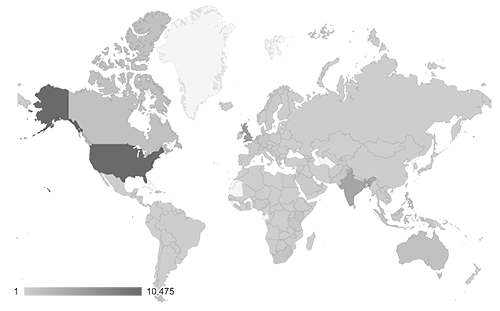 Product segmentation as shown in this article is a very practical tool for purchasing professionals to prioritize any performance improvement initiatives. Thank you the author for showing good example about how to use it.